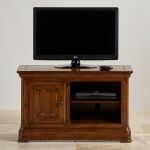 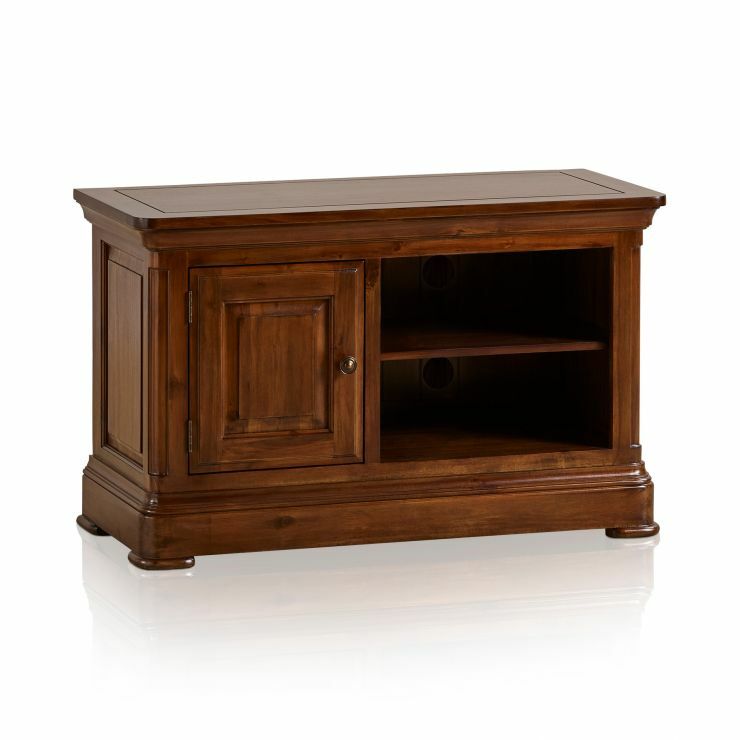 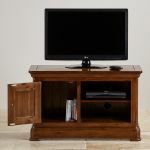 The Cranbrook small TV cabinet is a great addition to your living room. 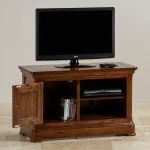 It has both shelving and cupboard storage, as well as a strong solid hardwood top to hold your TV. 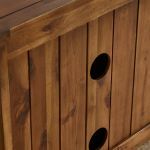 With its cleverly hidden exit holes, it helps to keep your cables under control, making it a useful piece of home furniture. 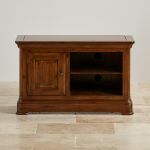 The TV unit is crafted from 100% solid hardwood in a striking dark-stained finish, and made to truly stand the test of time. 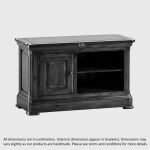 As with all of the stylish Cranbrook pieces, its design is inspired by traditional furniture, with a distinctly modern twist. 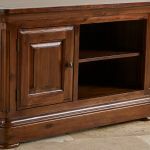 The classically flared cornices and deep pedestal base, paired with contrasting brass hardware and gently rounded corners are perfect examples. 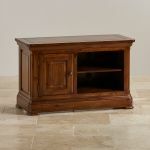 Don't forget to browse the other great Cranbrook pieces for every room in your home.